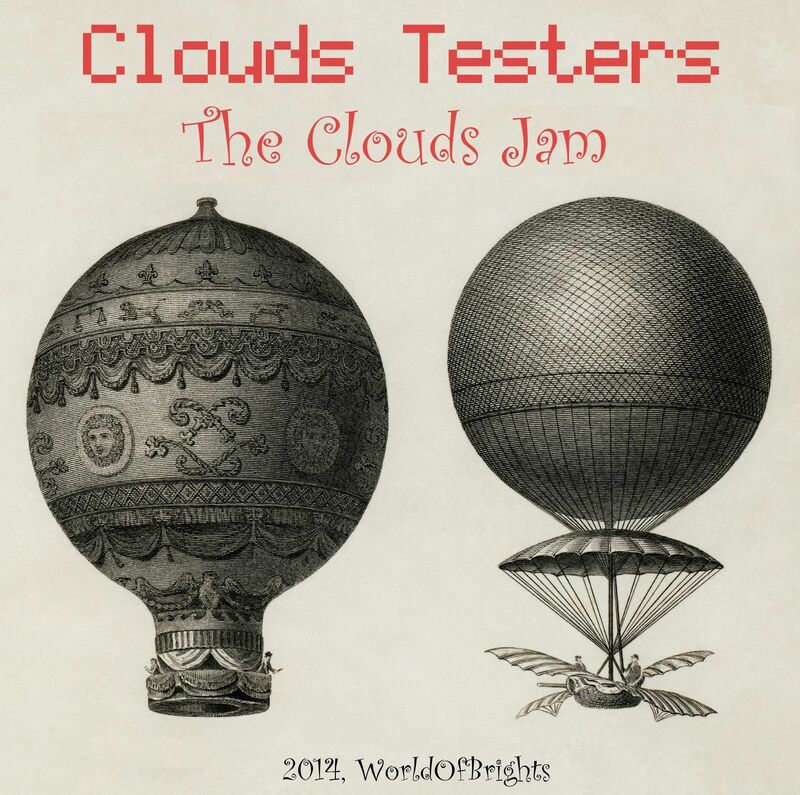 In February 2014 the Moscow indie-duo "Clouds Testers" - Alexander al | bo Bobrov and Nick Wowk - presented unprecedented in Russian music instrumental electronic album "The Clouds jam", recorded with rare vintage synthesizers from the 70s and 80s: Clouds Testers used more than 20 rare "cult" analog and digital synthesizers and drum-machines. "The Clouds jam" was friendly tested by the leading nu-disco / deep house DJs and supported with the more than 50 remixes by producers all over the world. The album was released as CDs with non-exclusive license by DJ MAG Russia DJ Magazine (# 2/2014) with circulation of 115,000 CD-copies as "platinum" album. This release is a digital version of the album, which has a "legendary" status in Russia. The Clouds Jam synthesizers: Moog Minimoog Model D (1975), Roland Jupiter-8 (1981), Yamaha CS70M (1979), Sequencial Circuits Prophet-600 (1982), Moog Voyager Electric Blue (2004), Roland SH-5 (1976), Dave Smith Prophet 08 PE (2008),Alesis A6 Andromeda (2004), Oberheim XPander (1986), Nord Modular G1 (1996), Dave Smith Polyevolver (2010), Roland MC-303 (1996), Roland MC-808 (2004), Korg Trident MK I (1980), Technics WSA-1R (1996), Roland R8 MK1 (1989), Roland R-8 MKII (1990), Vermona DRM-1 MKIII (2004).